Manager 2016: A Manager is the king of his kingdom. success of a project . 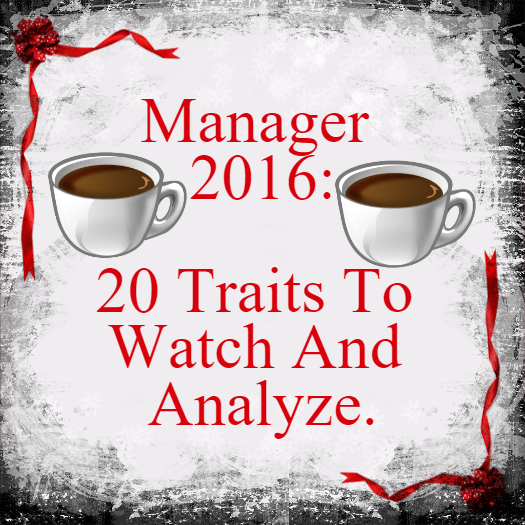 Manager 2016 is aimed to look at these traits and their importance. A manager needs to be always in an active mode. He has to be highly energetic. He must be welcoming new adventures. He must be open for exploring new experiences. A manager must learn quickly. He must carry many eclectic talents. He must be able to learn any skill. He must be superbly good at his skills. A manager represents his team. He also represents their performance. He is the sole person responsible for the performance of his function. A salesman is a person who sells a refrigerator to an Eskimo. He must use persuasive talents to the benefit of team’s performance, own career and projects. A manager has to be strongly enthusiastic even in adversity. He must be capable of infecting others with optimism. He must use enthusiasm as a top strategy for persuading others. We would continue talking about Manager 2016 in the next post.